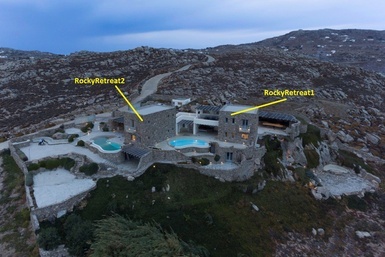 Believe the postcards ? 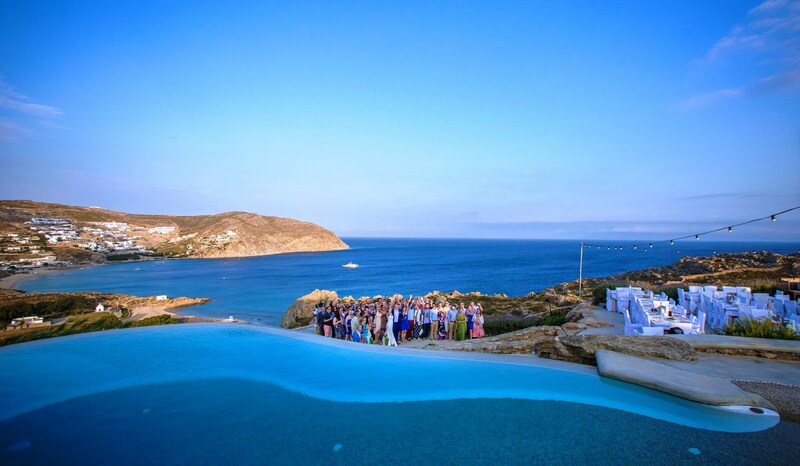 Mykonos is one of the most beautiful islands in Greece and it is no accident that it has become one of the most desired wedding destinations in the world! The unique cosmopolitan lifestyle, the sophisticated nightlife and the local architectural treasures as long as the stunning natural beauties and picturesque villages, create the perfect environment for an exquisite Mykonos wedding and the recipe for unforgettable memories. 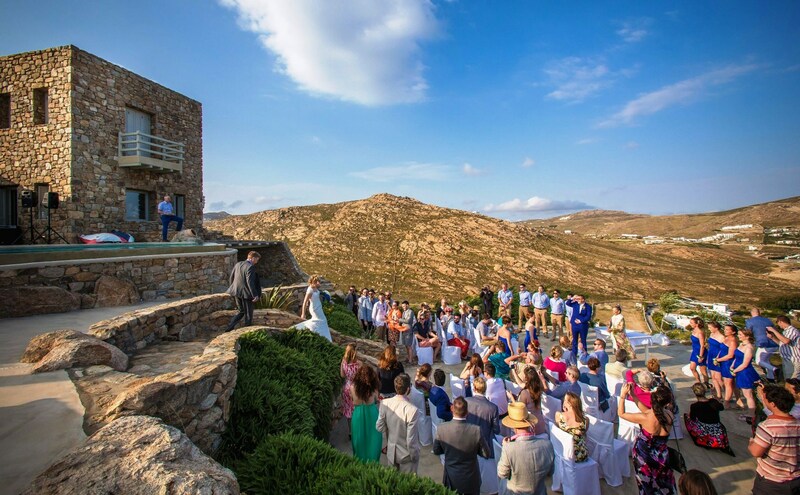 Although it is one of the smallest islands of the Cyclades complex, Mykonos is definitely the most famous wedding destination, thanks to its treasure of natural beauty, rich history, cosmopolitan character combined with a wild nightlife, as well as plenty of local color. 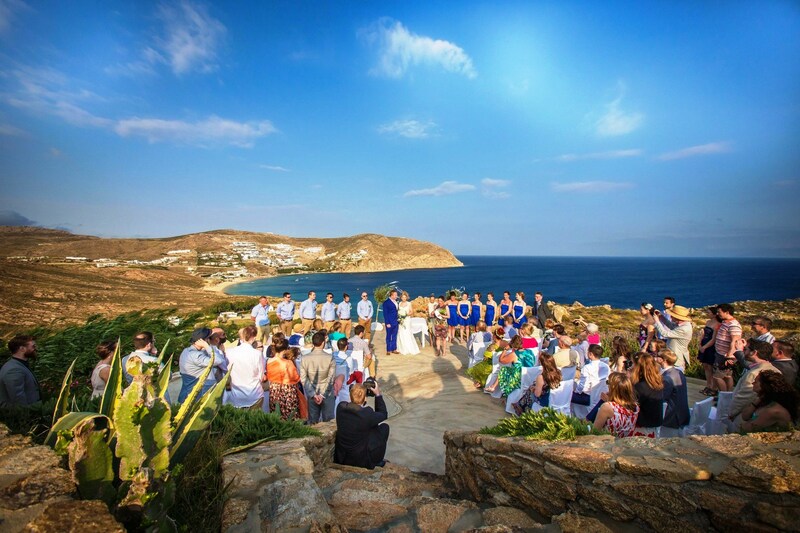 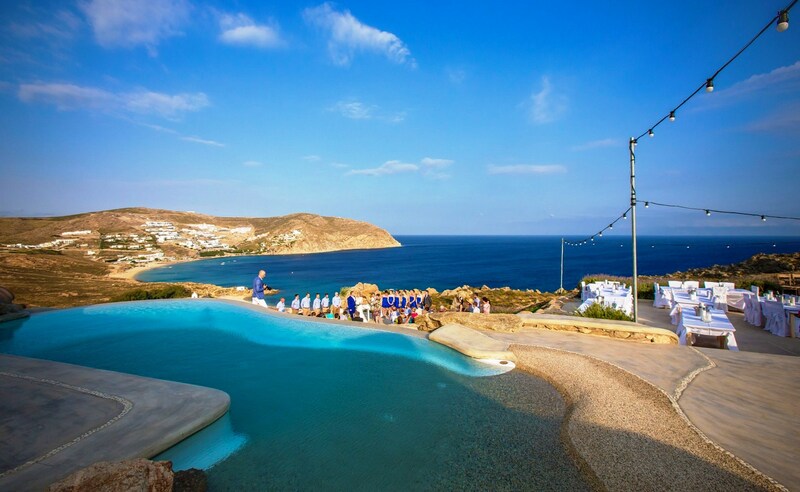 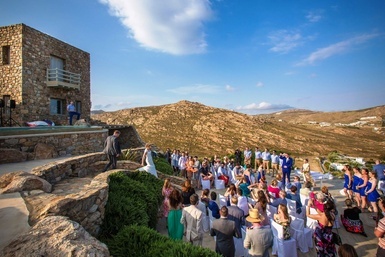 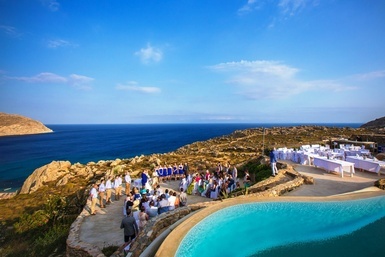 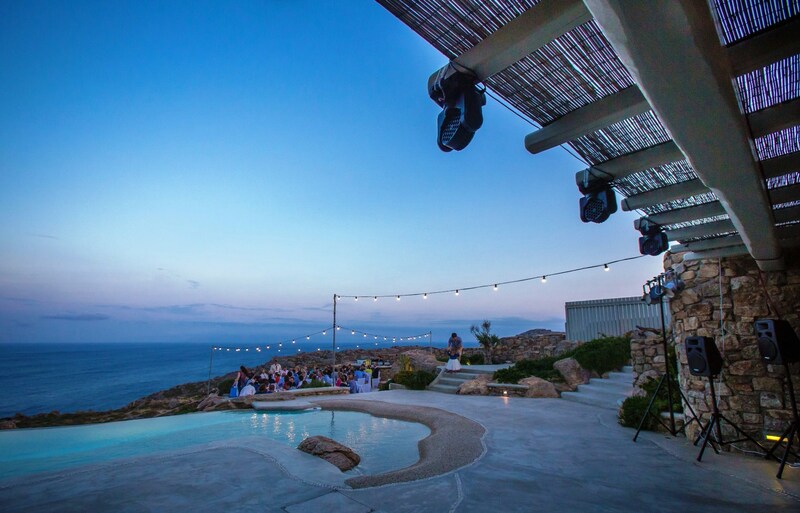 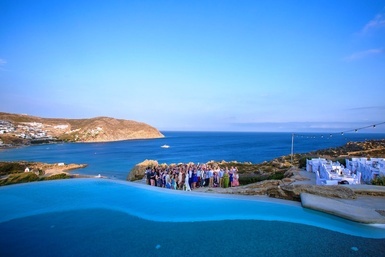 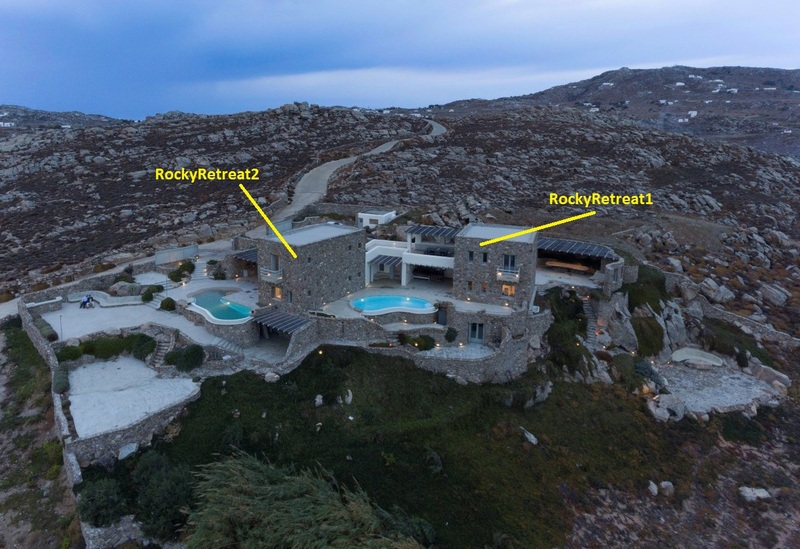 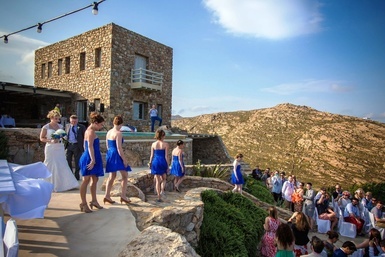 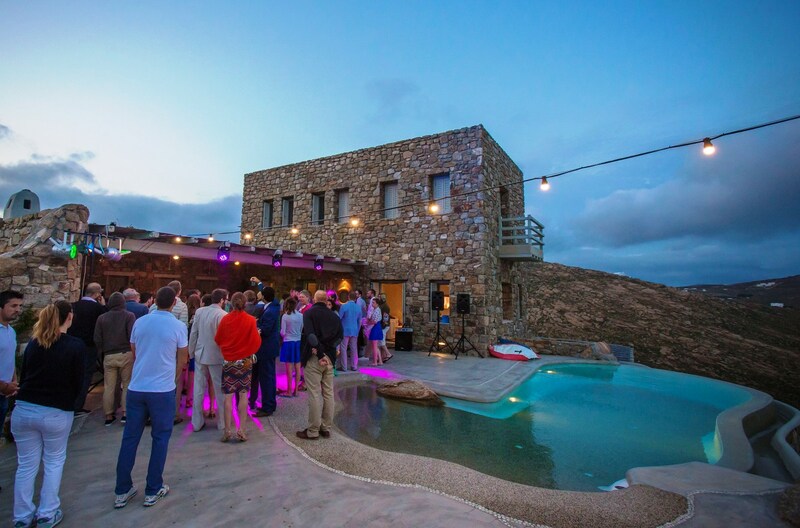 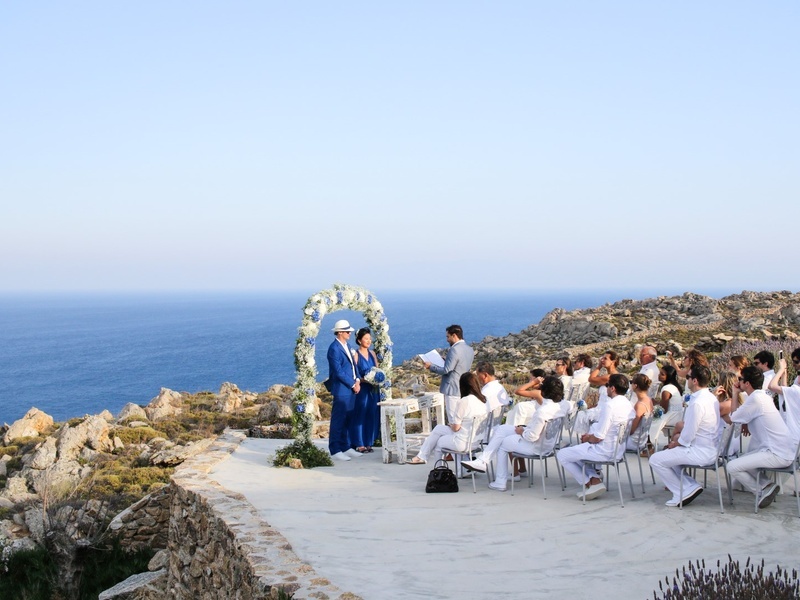 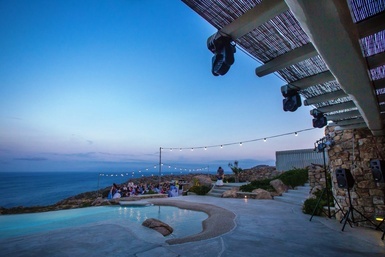 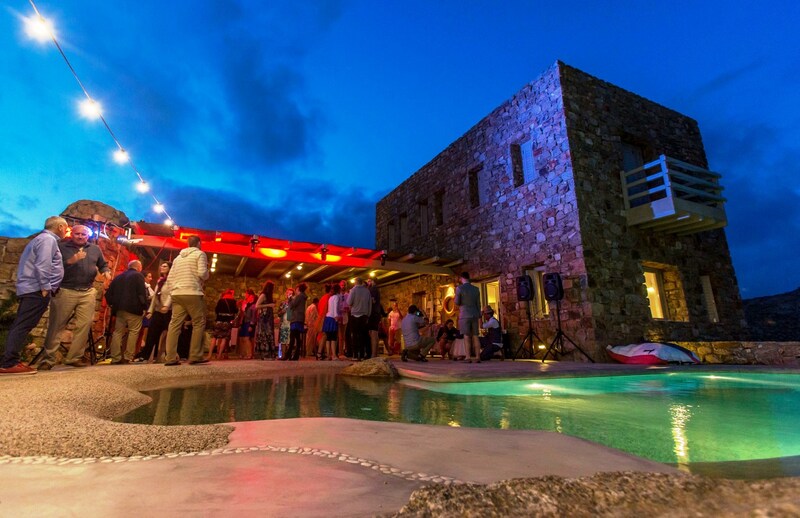 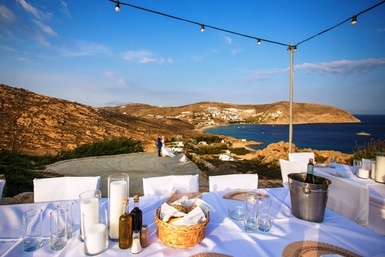 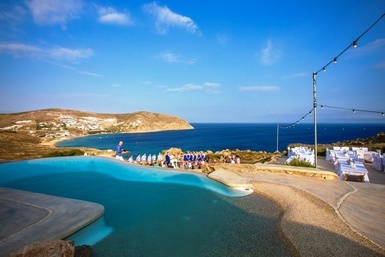 Your Mykonos wedding ceremony, dinner and reception party could all take place in a clubzak villa. 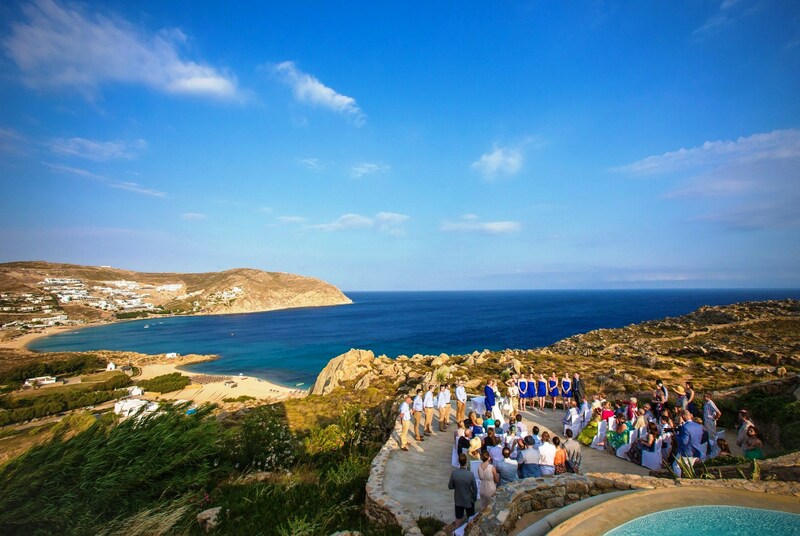 Our villa is the ideal way to experience a Cycladic lifestyle and incorporate this beautiful style in your wedding. 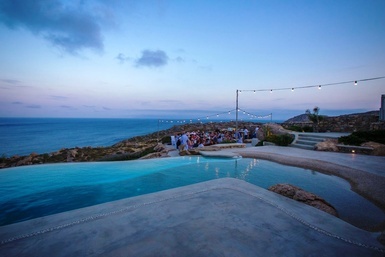 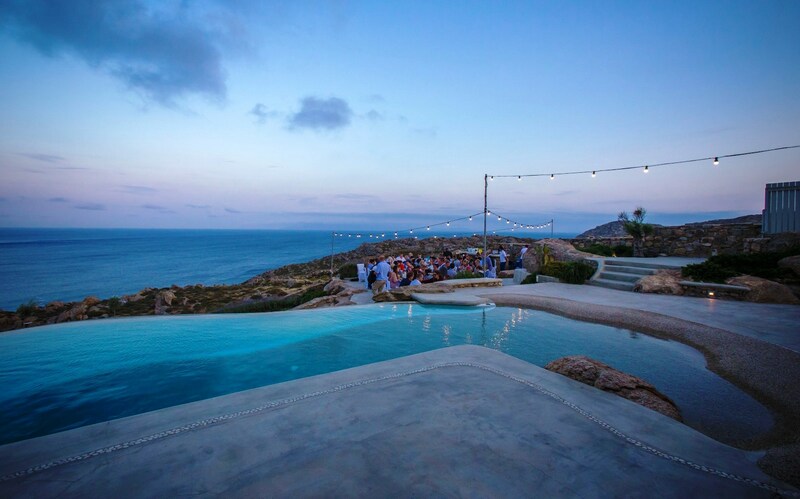 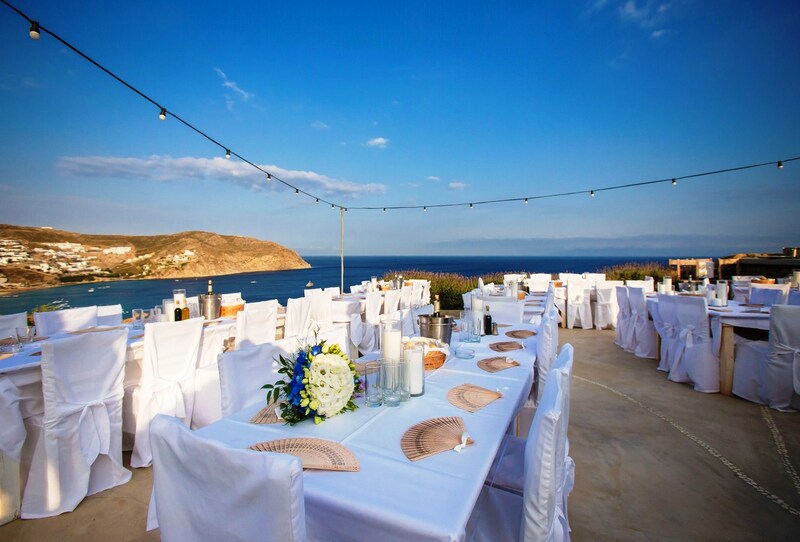 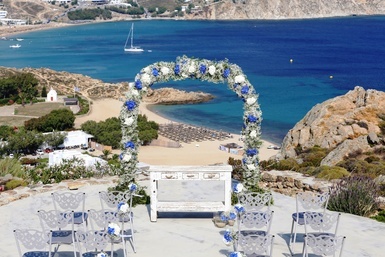 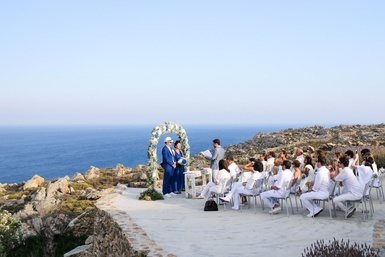 We have hosted and coordinated numerous Mykonos weddings, providing the proper consultation, unique decorating concepts and accurate coordination. The villa wedding concept is one of the most desirable because of the beautiful landscape Mykonos has to offer and the total privacy. We guarantee a carefree, relaxed and super romantic Mykonos wedding. We will be next to you in the whole process to create the most impeccable wedding concept !